It’s six months now since we took the wrapper off our new brewery, and high time to begin paying tribute and saying thanks to the people who have helped us get our beer out to the public. This, the first profile in what will be an on-going series, appropriately starts with the White Harte in Rathmullan. Anyone who knows Rathmullan knows the White Harte. 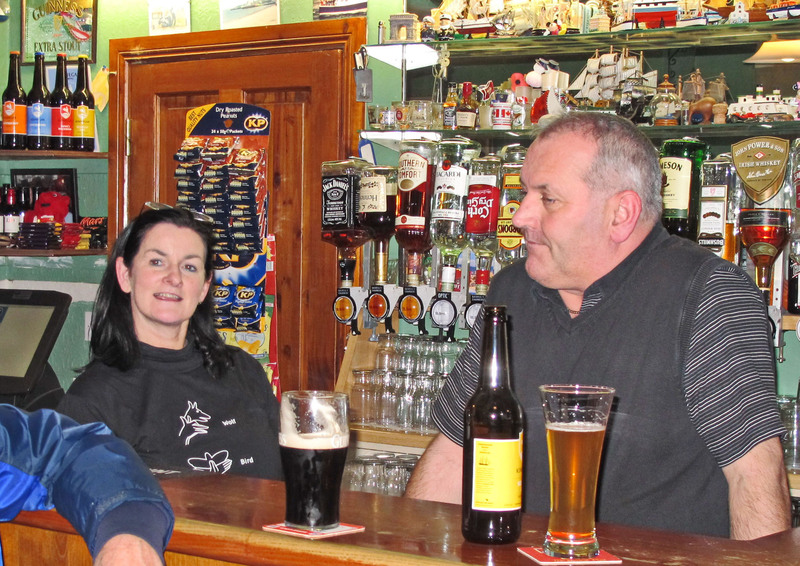 Successive generations of the McAteer family have made this small pub a local institution and the perfect place, winter or summer, to have a pint and watch the diverse dramas of seaside Donegal unfold. Thanks to Patricia, Kevin, Declan, and the ever-faithful John Lynch for being the first brave souls, along with the Wheelers of Rathmullan House, to introduce Kinnegar beers to the world. This entry was posted on January 17, 2014 by kinnegarbrewing. It was filed under A brewery grows, On the ground .